Directly connected to Sapporo station, Hokkaido Shikisaitei has excellent sushi! 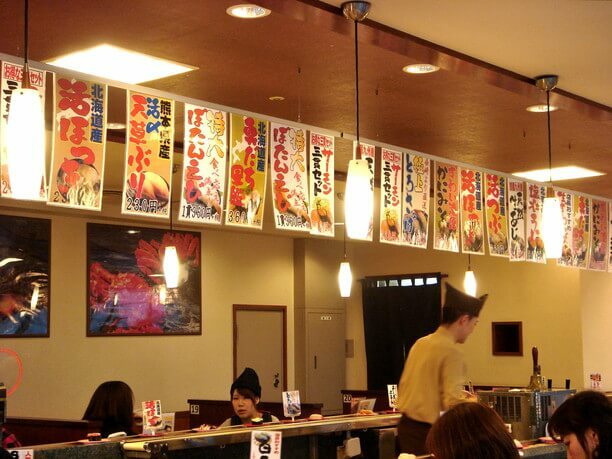 With its revolving sushi bars Hokkaido Shikisaitei is a great place to enjoy sushi at a reasonable price. It is loved by the locals and tourists! 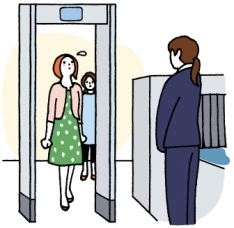 It is located on the 10th floor of the Esuta building which is directly connected to the JR Sapporo station. 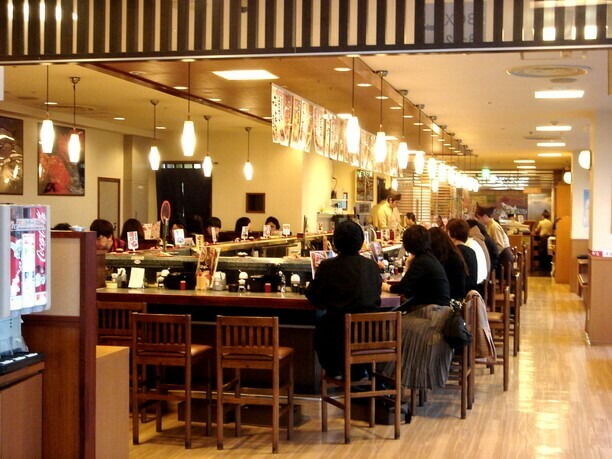 It has a casual atmosphere and is crowded with many people every day. 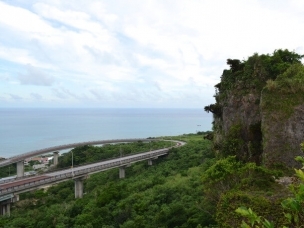 It is a place where you can eat while enjoying the views! 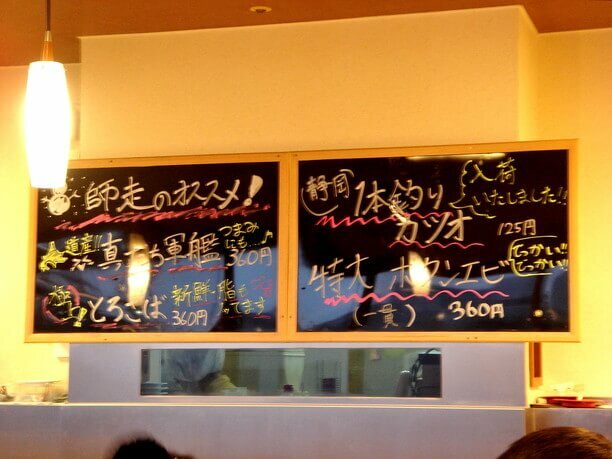 Its menu is packed with fresh Hokkaido seafood! Hokkaido Shikisaitei is commitment providing very fresh fish. Selections are prepared using fresh Hokkaido seafood and ingredients. One such item is the prepared shellfish. It is served with love on their special plate. A real favorite is the raw scallops (230 yen). From the first bite, its’ sweetness, goodness and freshness are appreciated. Their big story is one which makes the owners proud. Another popular dish is the “sushi sampler.”It has 3 types of sushi(360 yen). 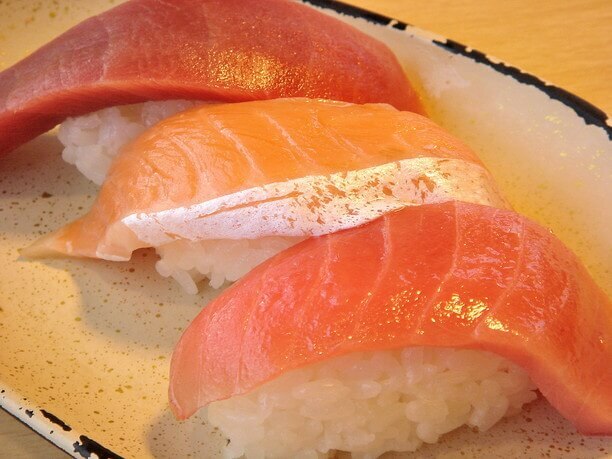 There is plenty of Bluefin tuna, large salmon, and Minami tuna to keep you fed. Fatty tuna is its’ number 1 dish. It is served on rice, and melts in your mouth!. They use local blended rice. 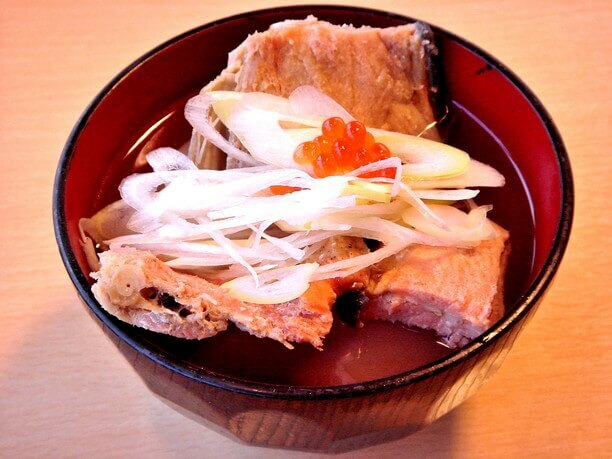 A popular side dish on their menu is their ” sanpei Soup” (230 yen). It is filled with salmon and vegetables. The beautiful flavor of the salmon soup is tasty and will bring a smile to your face! Their recommended menu changes every day depending on the catch of the day! 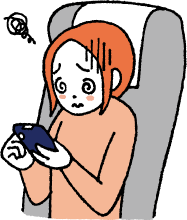 Today’s pick is the first thing you want to check once you are at a sushi restaurant. It is written on the blackboard or bulletin board. Don’t forget to check it out so you can order the fresh catch of that day! Today’s pick is also the best value on the menu. 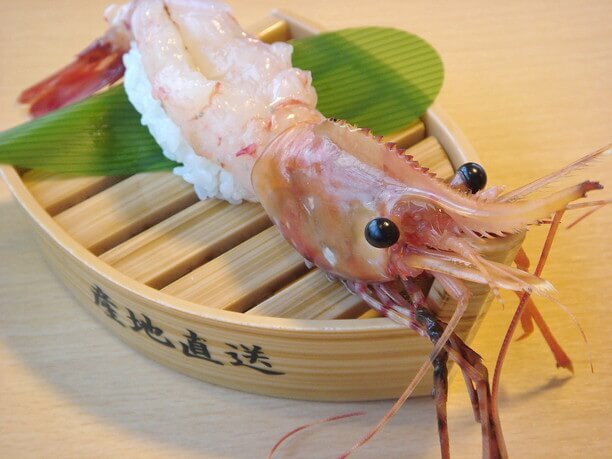 The day we visited the catch of the day was “jumbo Botan shrimp” (360 yen) It is tender, chewy and sweet. Enjoy the view from a seat at a table! 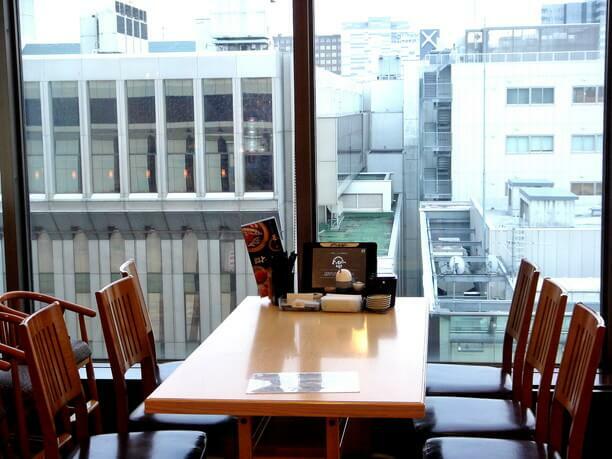 This shop features counter seating and booth seats along the conveyor belt and additional tables by the window. 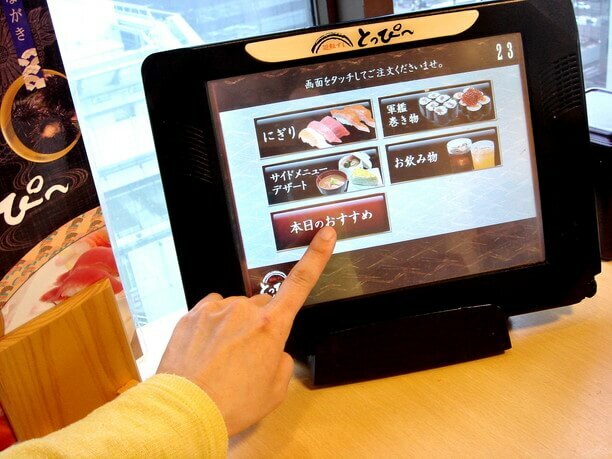 The tables come equipped with touch screen monitors to order your sushi selections. Both the booths and tables offer plenty of room and are comfortable for the whole family or group. The appeal of the tables is the view from the window. Looking down from a height of 10 stories is quite exhilarating! 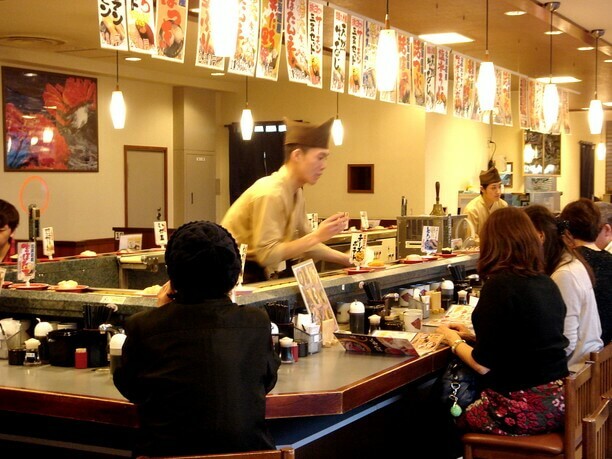 So if you want the excitement from the sushi passing by on the conveyor belt, choose counter seating or a booth. Or choose the rich atmosphere of a table by the window. You can choose a seat to suit your mood! Enjoy this vibrant atmosphere with special service for children! 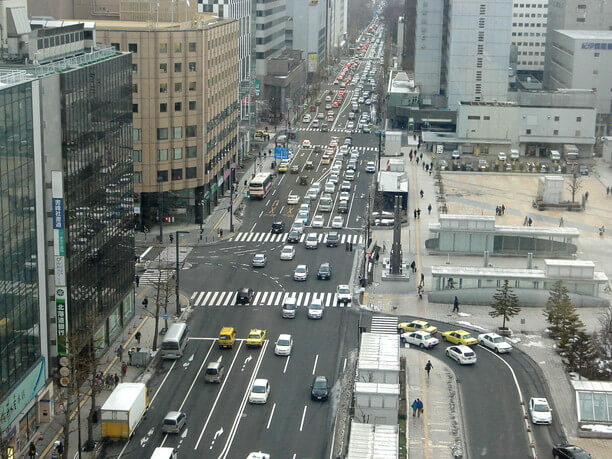 It has good access from the Sapporo station and the rest of the building. This shop is always full and filled with the cheerful voices of the staff. Even at busy times the service is good. So you can always calm down and enjoy the meal. They also have a comfortable seating area where you can wait to be seated. Customers who like good service are attracted to this place. Children elementary school age and younger receive unlimited free drinks and there are toy giveaways. This is definitely the place to enjoy fresh seafood at an affordable price, and great service. 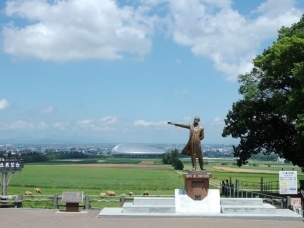 So please come visit Hokkaido’s Shikisaitei, and eat to your heart’s content! Children elementary school age or younger receive unlimited free drinks and toys. It is directly connected to JR Sapporo station, so access is excellent. So feel free to enjoy the sushi. This popular restaurant is quite busy during peak dinner hours. From 2:00 p.m. to 4:00 p.m. it is relatively quiet. So it is a good time to enjoy a relaxing late lunch. This is a great place to go to enjoy sushi! Table seating where you can enjoy the view is especially beautiful at night time. 11:00 a.m to 10:00 p.m.
“Waraku,” located in Otaru has fresh Hokkaido seafood and features sushi served on a conveyor belt. Enjoy food made with a large collection of Hokkaido ingredients at ” Shukoushusai Tenohira! So fresh! Indulge in great seafood of Hokkaido Six most delicious seafood bowls! !